Amazon and Microsoft have announced plans to add compatibility between their respective voice assistants, Alexa and Cortana, later this year. Microsoft hailed the deal as a “first-of-its-kind collaboration” that will offer more choice, value and access to both personal assistants. 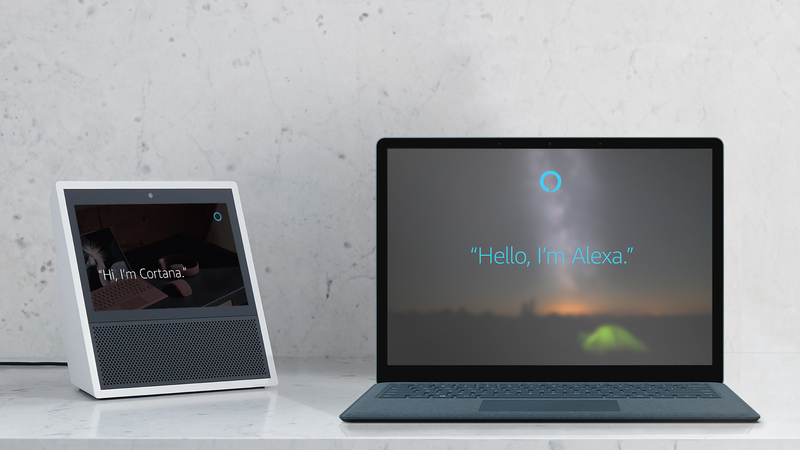 Consumers will be able to access Cortana on Alexa-enabled devices like the Amazon Echo, Echo Dot and Echo Show, and will initially be able to access Alexa via Cortana on Windows 10 PCs, with Android and iOS compatibility to follow in the future. “The world is big and so multifaceted,” said Amazon founder and CEO, Jeff Bezos. “There are going to be multiple successful intelligent agents, each with access to different sets of data and with different specialised skill areas.